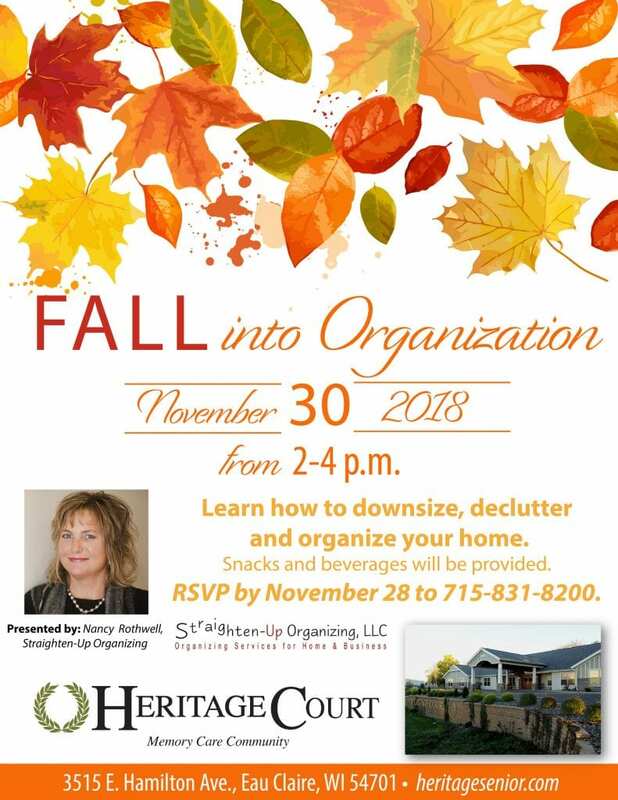 Join us at Heritage Court Eau Claire, where Nancy Rottweil from Straighten-Up Organizing will teach us how to downsize, declutter and organize our homes. Snacks and beverages will be provided. RSVP by October 31 to 715-831-8200.